When the real estate market tanked beginning in 2007, many homeowners found themselves underwater with their mortgages. The first wave was the infamous “bad loans” that were typically adjustable rate mortgages which started very low but quickly adjusted up making payments a huge burden for many homeowners. Confronted with high mortgage payments and declining home values, many people were caught in stressful situations wondering how they would continue to make their mortgage obligations. The second wave hit in 2010, the result of the downturn in the economy and resulting job losses. It can be difficult to make your house payment when you have lost your job. As a result of this tidal wave sized shift, many homeowners had no alternative but to look for a way to get out of their home. With foreclosure staring them in the eye, the only real option they had if they didn’t want to wreak havoc on their long term financial status, was to attempt a Short Sale of their property. With the execution of a short sale, a restructure of mortgage debt or even foreclosure, comes something known as debt forgiveness. Basically in a short sale, the banks is agreeing to settle for less than what is owed when a home closes escrow. From an IRS point of view, debt forgiveness of this nature is also viewed as income to the seller. After all, the bank is writing off the debt and the seller is no longer responsible, as long as the bank does not take recourse against them. The size of these shortfalls in some cases were huge. One short sale I facilitated in 2010 saw the bank forgiving over $200,000. Without the Mortgage Forgiveness Debt Relief Act, that $200,000 was taxable income which if you had lost your job, became an obligation many had no ability to pay. The original act was to last 3 years and expire in 2009. As we all certainly remember, the economic chaos continued for quit some time and as home values continued to decrease nationwide, more and more people found themselves caught in this destructive tornado. To ease the nations pain, Congress decided to extend the expiration of the Act 3 more times. So here is the rub. The last extension was to January 1st 2014. As of this moment, the Debt Forgiveness Act has not been extended for a 4th time, so debt forgiveness from the point of view of the IRS, is no longer. What does that mean to a homeowner closing the sale of their home tomorrow where the bank may be agreeing to accept $50,000 less than what is owed? What it matter of fact means is when they file their 2014 retun next year, they will then have a $50,000 gain to account for in their income taxes. Many of todays sellers may not understand that and find themselves in a difficult predicament when they get to that moment. Will the Act get extended for a 4th time? Today that is an unknown. The topic is being discussed in Washington but the energy is not what it once was. 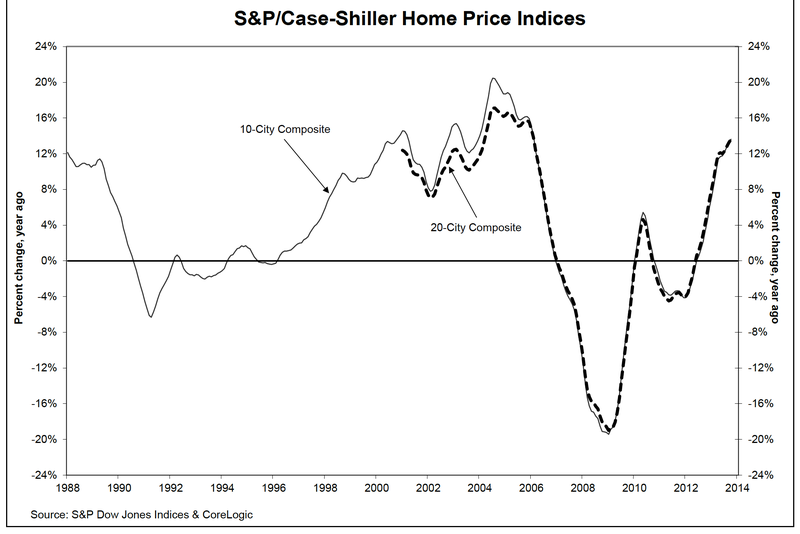 That may be because we are now seeing home values go up in many areas of the country. 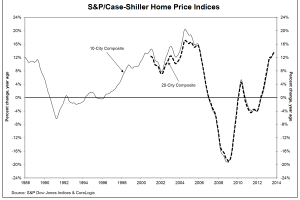 Home appreciation in Portland Oregon as an example has been 12.7% over the past 12 months, according to S&P/Case Shiller. If you are in this situation today, hopefully your Realtor is encouraging you to check with your Accountant to see what impacts you should expect.